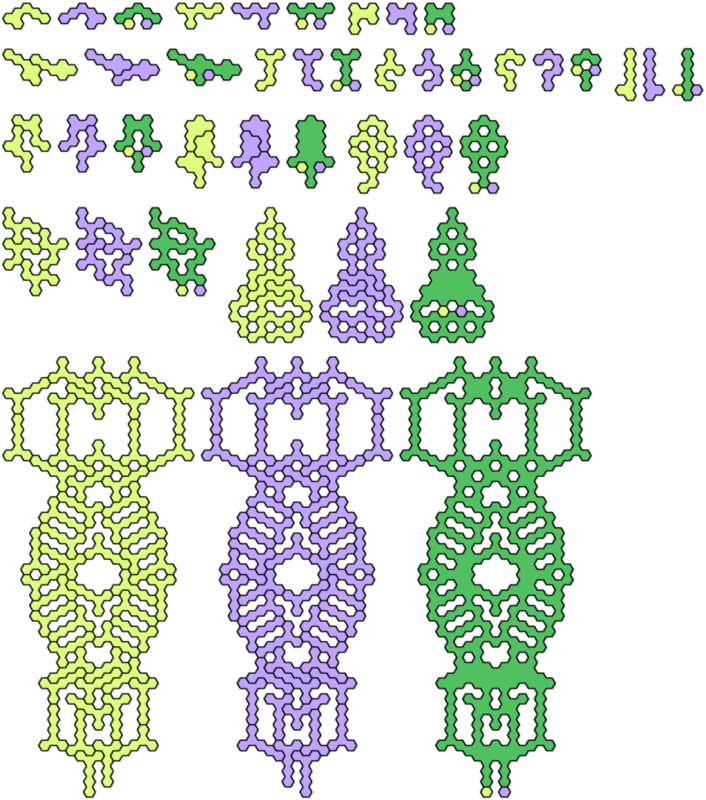 Two polyhexes can be tiled with copies of the same hexahex. The polyhexes differ in only one cell. How near can the unmatched cells lie? 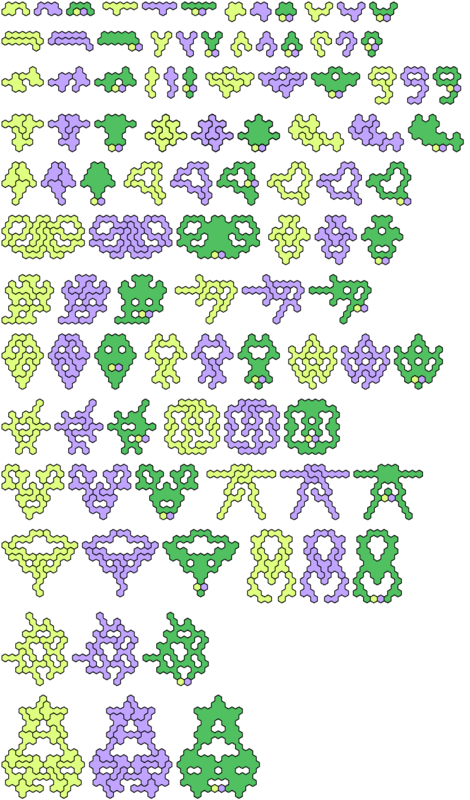 If you can find a shorter shift than is shown here, or an equal shift with fewer tiles, please let me know. Mike Reid and Luke Pebody found independently that the ring hexahex has no cell shift. 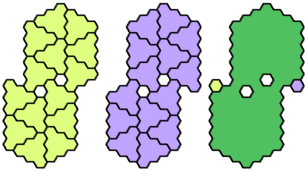 For smaller polyhexes, see Cell Shifts for Polyhexes.